Rachel Cosgrove, 2012 IDEA Personal Trainer of the Year, co-owns and operates Results Fitness, located in Southern California and open since 2000. She has authored two best-selling books, The Female Body Breakthrough and Drop Two Sizes published with Rodale and created the Drop Two Sizes DVD set. She lectures nationally and internationally on topics such as strength training, fat loss, business, and nutrition. 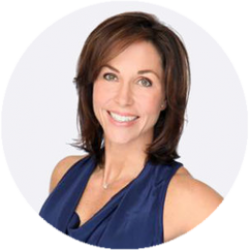 A consultant for Nike, she is also on the advisory board and is a columnist for Women's Health Magazine and has been featured in almost every fitness magazine on the market.